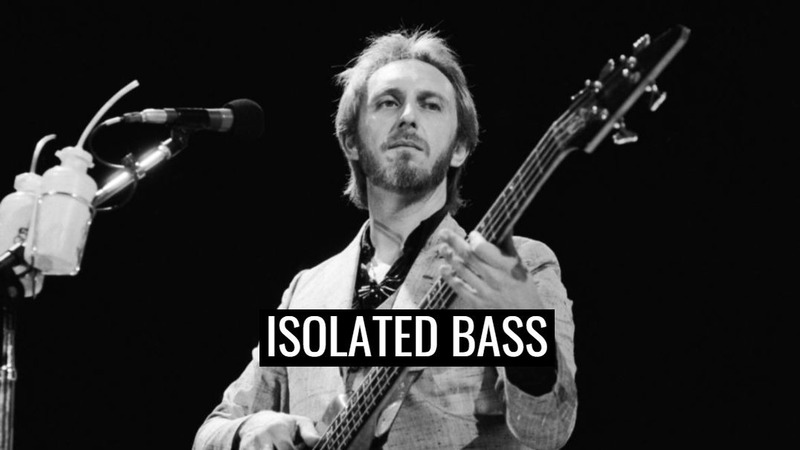 Hear John Entwistle isolated bass on "Won't Get Fooled Again"
One of the greatest bass players on classic rock was John Entwistle, but unfortunately is one of the less remembered. An to honor this amazing musician that left us in 2001, you now can hear his amazing isolated bass track on The Who’s classic “Won’t Get Fooled Again”. John Alec Entwistle (9 October 1944 – 27 June 2002) was an English bass guitarist, singer, songwriter, and film and music producer. In a music career that spanned more than 40 years, Entwistle was best known as the original bass guitarist for the English rock band The Who. He was the only member of the band to have formal musical training. He was inducted into the Rock and Roll Hall of Fame as a member of the Who in 1990. Entwistle’s instrumental approach used pentatonic lead lines, and a then-unusual treble-rich sound (“full treble, full volume”) created by roundwound RotoSound steel bass strings. He was nicknamed “The Ox” and “Thunderfingers”. In 2011, he was voted as the greatest bass guitarist of all time in a Rolling Stone magazine reader’s poll, and in its special “100 Greatest Bass Players” issue in 2017, Bass Player magazine named Entwistle at number seven. According to the Biography Channel, Entwistle is considered by many to be the best rock bass guitarist who ever lived, and is considered to have done for the bass what Jimi Hendrix did for the guitar.